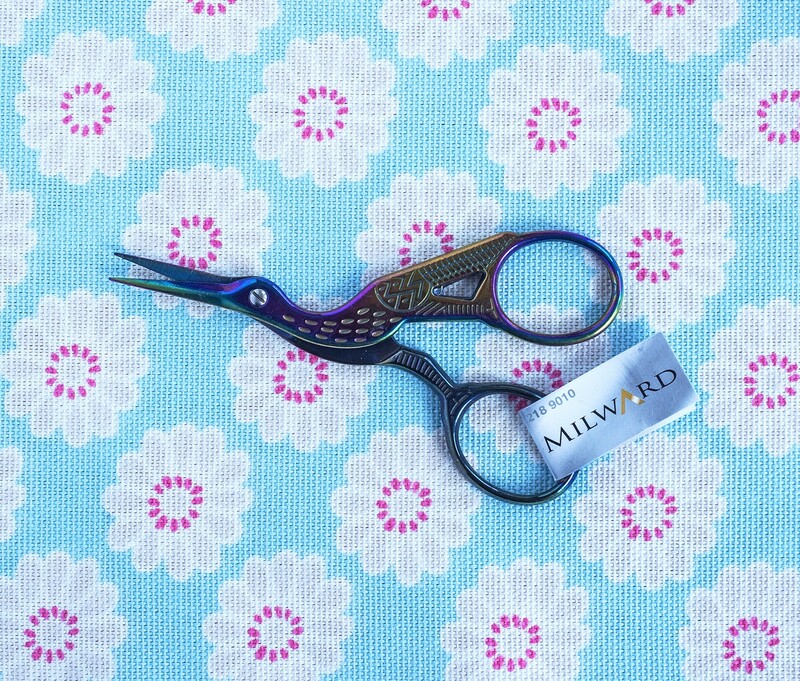 High quality Millward stork embroidery scissors 9cm (3.5in) from tip to top. Steel construction for strength and long-lasting performance. Sharp pointed with straight edge, perfect for embroidery or needlework. Unusual rainbow-effect finish, no two pairs are the same!